One Piece is a fantastic anime. It follows the adventures of Monkey D. Luffy and his charismatic Straw Hat Pirate crew as they search for the "One Piece" -- the most valued treasure in the entire land. They're over 600 episodes in and they still haven't found it, but it's an entertaining journey all the same. Sadly, One Piece: Romance Dawn isn't a great reflection of the show, mostly due to a lazy presentation. 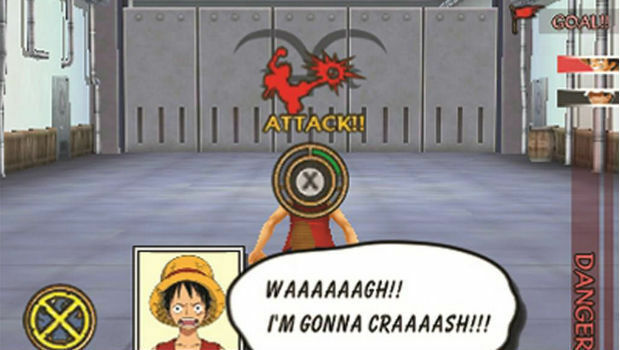 Romance Dawn is a standard JRPG that basically re-tells Luffy's story from the beginning. 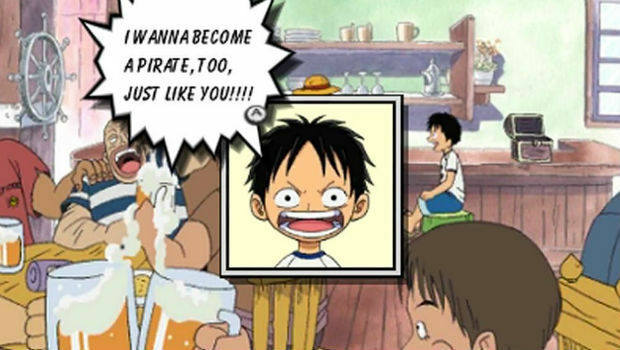 Luffy is a young boy that looks up to pirates (specifically his idol, Shanks), and wants to have his own ship and crew someday. There's only one problem -- he's not really a warrior. That is, until he eats a magical piece of Devil Fruit, giving him the ability to bend his limbs like rubber, and cursing him with the inability to ever swim again. That's basically the setup for the entire series, as Luffy grows up and starts to assemble a crew of his own. Although it follows the typical Dragon Ball convention of "one big bad after another," the show is actually pretty well written and engaging. Romance Dawn is not. Sadly, the writing of the game is so poor that it's almost childlike. You'll notice it when the first villain of the game bursts into a bar and starts spouting off segmented lines like "Hi dumb pirates. I am [this]. I am angry. You are [this]." There's no nuance to it, and it feels almost limited by the screen's real estate and chosen method of storytelling, which is one of the worst parts of the package. You remember how some old JRPGs would have static portraits display during cutscenes and dialog due to the technical limitations of the time? That's sort of how it's presented here, but worse. Along with the short, poorly worded dialog on the screen are pictures of the characters currently conversing, and each picture will "shake" when they're speaking. A piece of art is behind the avatar, usually of low quality, and you're basically just watching pictures jiggle out incomplete thoughts for long periods of time. I have no idea who thought this was a good idea, but it feels lazy and unfinished. It also doesn't help that there's no 3D effect present in the slightest, and when coupled with the poor translation, this feels like a rush-job port from the PSP game. The only part I didn't mind was the unchanged Japanese voicework, and the sparing videos from the anime. Thankfully, the actual JRPG portions are a little more enjoyable. Occasionally, you'll explore dungeons in the form of a third person perspective and get into turn based battles as you explore and locate items and treasures. Enemies are visible on-screen, and will periodically chase you into a combat sequence, at which point it'll operate like any classic Final Fantasy game. 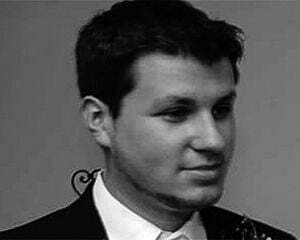 Combat is not active, and thanks to the AP system, is more methodical in nature. Each character will slowly gain more AP every turn to enact more powerful moves, which you can either save or blow whenever you want. 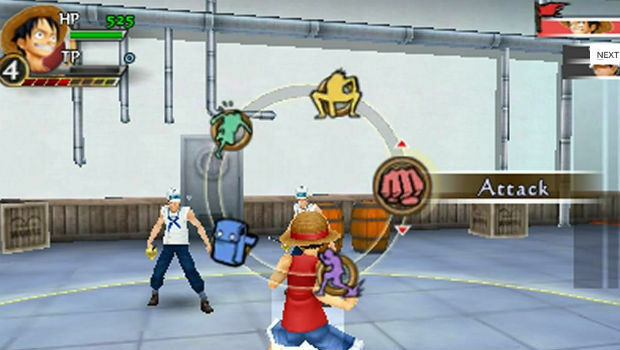 Attacks are like combos basically, as you can press different face buttons to choose between specific special attacks. It's not anything you haven't seen before, but it's fun nonetheless. Throughout the game you'll repeat this process and earn XP, which you can use to power-up specific skills to custom tailor your party. Any gear you earn will show up on your character, and the dungeon map is on the bottom screen of the 3DS, which is a nice feature. Nothing substantial ever really happens in terms of the game's narrative or RPG systems -- it's basically a hop and a jump from static avatar cutscenes to dungeons, mixed with the serviceable combat system. If the presentation wasn't so horrible, One Piece: Romance Dawn would be a decent way for a JRPG fan to spend an afternoon after they've exhausted their library of other more innovative titles. If you've always wondered what the fuss was with One Piece, you'd be better off watching the show or playing the fun, but flawed Pirate Warriors series.